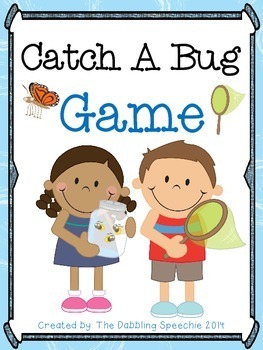 Speechie Freebies: Catch A Bug Game! Every Spring I incorporate bugs into my therapy because most of my little ones seem to love bugs and my 5 year old is included in that bunch! We spend lots of time outside hunting and discussing about bugs, so I decided to make a cute game for the therapy room. There are two variations to using this activity. 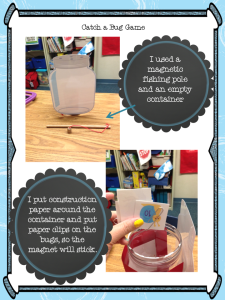 Print the bug jar and bugs with numbers on card stock for durability and laminate. I used an empty container and put construction paper around it, so kids couldn't peek inside. I then taped the bug jar to the container and stuck the bugs inside. I used paperclips on the bugs, so that they would stick when the students used my magnetic fishing pole to catch bugs. The player with the most points at the end of the session wins!! Head on over to my blog to grab this freebie! !